The IRS E-File servers are back Up On-line! E-File your Pro-rated HVUT Now! Hey there Truckers, after a fortnight waiting period the IRS e-file servers are finally back up online from Today. Hence, the IRS servers will be able to accept your e-filed tax returns and be able to issue the digital watermarked copy of schedule 1 for your vehicle registration purposes. Now having said that, the Government shutdown still persists at the moment which will have an impact over the local IRS facilities & courthouses making most of the walk in sites to be non-operational until the shutdown ceases. For your kind information, the IRS has a huge volume of 2290 tax return filed since the downtime hence it may take until the end of today before the IRS could accept all the tax returns that were filed during the maintenance period. So, we kindly request you to patiently wait until the end of today before receiving the IRS digital watermarked copy of schedule 1 back in your e-mail. The Federal law states that the Form 2290 musty be e-filed on a vehicle by the last day of the month following the month of its first use. On that basis the Pro-rated HVUT Form is now due by January 31st, 2019 for vehicles used on the road since Dec 2018. E-File soon if you haven’t filed it yet. This entry was posted in 2290 e-file, American Trucking, EIN, Employee Identification Number, Form 2290, Truck Tax Online, VIN Correction and tagged ein, Form 2290, Heavy Vehicles, hvut form 2290, IRS, IRS is online, Is the IRS Closed? Is the IRS shutdown? IRS has ceased its e-file maintenance period, SSN on January 8, 2019 by Truck Dues. Correcting errors on the VIN has been made easy with Truckdues.com! This entry was posted in 2290 e-file, Truck Tax Online, VIN Correction and tagged 2290 e file, Agriculture Vehicle, American Trucking, can form 2290 be efiled, can you e-file form 2290, DMV VIN correction, e file form 2290 irs, e file heavy highway vehicle use tax return, e-file for form 2290 excise tax filers, e-file-Form-2290, e-filing your form 2290, ein, federal heavy highway vehicle use tax, Form 2290, Form 2290 Amendment, form 2290 application, form 2290 category w, form 2290 contact number, form 2290 download, form 2290 due, form 2290 e file providers, form 2290 exemption, form 2290 explained, form 2290 extension, form 2290 federal excise tax, form 2290 filing date, form 2290 heavy highway vehicle use tax return instructions, form 2290 heavy highway vehicles, form 2290 help, form 2290 highway use tax, form 2290 instructions 2017, form 2290 irs online, form 2290 july 2017, form 2290 late penalty, form 2290 renewal, Form 2290 VIN correction, heavy duty truck tax, heavy goods vehicle tax bands, heavy goods vehicle tax rates, heavy highway motor vehicle use tax, heavy highway vehicle tax, heavy highway vehicle tax 2290, heavy highway vehicle tax form 2290, heavy highway vehicle tax return, heavy highway vehicle tax return form 2290, heavy highway vehicle use tax, heavy highway vehicle use tax contact, heavy highway vehicle use tax deductible, heavy highway vehicle use tax due date, heavy highway vehicle use tax e file, heavy highway vehicle use tax efile, heavy highway vehicle use tax exemption, heavy highway vehicle use tax form, heavy highway vehicle use tax information, heavy highway vehicle use tax mailing address, heavy highway vehicle use tax online, heavy highway vehicle use tax phone number, heavy highway vehicle use tax refund, heavy highway vehicle use tax return, heavy highway vehicle use tax return address, heavy highway vehicle use tax return due date, heavy highway vehicle use tax return form 2290, heavy highway vehicle use tax return instructions, heavy highway vehicle use tax return online, heavy highway vehicle use ttax instructions, heavy truck excise tax, heavy truck fuel tax, heavy truck highway tax, heavy truck highway use tax, heavy truck road tax, heavy truck road use tax, Heavy Truck Tax, HEAVY TRUCK TAX 2290, heavy truck tax deduction 2017, heavy truck tax form, heavy truck tax irs, heavy truck tax write off heavy vehicle use tax online filing, heavy truck use tax, heavy vehicle excise tax, heavy vehicle fuel tax credit, heavy vehicle road tax, Heavy vehicle tax, heavy vehicle tax 2290, heavy vehicle tax break, heavy vehicle tax clearance hawaii, heavy vehicle tax credit, heavy vehicle tax credit 2017, heavy vehicle tax deduction 2017, heavy vehicle tax form 2290, heavy vehicle tax payment, Heavy Vehicle Use Tax, heavy vehicle use tax cost, heavy vehicle use tax due date, heavy vehicle use tax exemption, heavy vehicle use tax exemption form, heavy vehicle use tax fees, heavy vehicle use tax filing, heavy vehicle use tax form, heavy vehicle use tax instructions, heavy vehicle use tax online, heavy vehicle use tax questions, heavy vehicle use tax refund, heavy vehicle use tax return, heavy vehicle use tax return form 2290, heavy vehicle weight tax, how do i e file form 2290, how to e file form 2290, HVUT, hvut 2017, HVUT 2017 -2018, hvut 2290, hvut 2290 due date, hvut amount, hvut cost, hvut due date, hvut filing, hvut form 2290, hvut form 2290 instructions, hvut form 2290 online, hvut instructions, hvut tax, Incorrect VIN on 2290, IRS, irs form 2290 contact number, irs form 2290 due date, irs form 2290 e file, irs form 2290 heavy highway vehicle use tax, irs form 2290 heavy highway vehicle use tax return, irs form 2290 instructions 2017, irs form 2290 mailing address, irs form 2290 online, irs form 2290 payment, irs form 2290 pdf, irs form 2290 questions, irs heavy highway vehicle use tax, irs heavy vehicle tax form, IRS watermark, is form 2290 filed annually, Late 2290, Late HVUT fees, Late HVUT payment, Owner Operators, pay heavy highway vehicle use tax online, pay heavy highway vehicle use tax return online, pay heavy vehicle tax online, semi truck tax deductions, semi truck tax depreciation, Truck Licensing, Truck Tags, truck tax online, Truck Tax Online 2290 e file, Truck VIN is wrong, Truckers, Vehicle Identification Number, VIN Correction, what is a form 2290, what is heavy highway vehicle use tax, what is the heavy highway vehicle use tax, when is a 2290 form due, when is heavy highway vehicle use tax due, where to pay heavy highway vehicle use tax on February 7, 2018 by Truck Dues. Reporting a VIN Correction has been made Easy! This entry was posted in 2290 e-file, EIN, HVUT 2017 -2018, VIN Correction and tagged 2290 e file, Agriculture Vehicle, American Trucking, can form 2290 be efiled, can you e-file form 2290, e file form 2290 irs, e file heavy highway vehicle use tax return, e-file for form 2290 excise tax filers, e-file-Form-2290, e-filing your form 2290, ein, federal heavy highway vehicle use tax, Form 2290, Form 2290 Amendment, form 2290 application, form 2290 category w, form 2290 contact number, form 2290 download, form 2290 due, form 2290 e file providers, form 2290 exemption, form 2290 explained, form 2290 extension, form 2290 federal excise tax, form 2290 filing date, form 2290 heavy highway vehicle use tax return instructions, form 2290 heavy highway vehicles, form 2290 help, form 2290 highway use tax, form 2290 instructions 2017, form 2290 irs online, form 2290 july 2017, form 2290 late penalty, form 2290 renewal, heavy duty truck tax, heavy goods vehicle tax bands, heavy goods vehicle tax estonia, heavy goods vehicle tax rates, heavy highway motor vehicle use tax, heavy highway vehicle tax, heavy highway vehicle tax 2290, heavy highway vehicle tax form 2290, heavy highway vehicle tax return, heavy highway vehicle tax return form 2290, heavy highway vehicle use tax, heavy highway vehicle use tax contact, heavy highway vehicle use tax deductible, heavy highway vehicle use tax due date, heavy highway vehicle use tax e file, heavy highway vehicle use tax efile, heavy highway vehicle use tax exemption, heavy highway vehicle use tax form, heavy highway vehicle use tax information, heavy highway vehicle use tax instructions, heavy highway vehicle use tax mailing address, heavy highway vehicle use tax online, heavy highway vehicle use tax phone number, heavy highway vehicle use tax refund, heavy highway vehicle use tax return, heavy highway vehicle use tax return address, heavy highway vehicle use tax return due date, heavy highway vehicle use tax return form 2290, heavy highway vehicle use tax return instructions, heavy highway vehicle use tax return online, heavy truck excise tax, heavy truck fuel tax, heavy truck highway tax, heavy truck highway use tax, heavy truck road tax, heavy truck road use tax, Heavy Truck Tax, HEAVY TRUCK TAX 2290, heavy truck tax deduction 2017, heavy truck tax form, heavy truck tax irs, heavy truck tax write off heavy vehicle use tax online filing, heavy truck use tax, heavy vehicle excise tax, heavy vehicle fuel tax, heavy vehicle fuel tax credit, heavy vehicle road tax, Heavy vehicle tax, heavy vehicle tax 2290, heavy vehicle tax break, heavy vehicle tax clearance hawaii, heavy vehicle tax credit, heavy vehicle tax credit 2017, heavy vehicle tax deduction 2017, heavy vehicle tax form 2290, heavy vehicle tax payment, Heavy Vehicle Use Tax, heavy vehicle use tax cost, heavy vehicle use tax due date, heavy vehicle use tax exemption, heavy vehicle use tax exemption form, heavy vehicle use tax fees, heavy vehicle use tax filing, heavy vehicle use tax form, heavy vehicle use tax instructions, heavy vehicle use tax online, heavy vehicle use tax questions, heavy vehicle use tax refund, heavy vehicle use tax return, heavy vehicle use tax return form 2290, heavy vehicle weight tax, how do i e file form 2290, how to e file form 2290, HVUT, hvut 2017, HVUT 2017 -2018, hvut 2290, hvut 2290 due date, hvut amount, hvut cost, hvut due date, hvut filing, hvut form 2290, hvut form 2290 instructions, hvut form 2290 online, hvut instructions, hvut tax, IRS, irs form 2290 contact number, irs form 2290 due date, irs form 2290 e file, irs form 2290 heavy highway vehicle use tax, irs form 2290 heavy highway vehicle use tax return, irs form 2290 instructions 2017, irs form 2290 mailing address, irs form 2290 online, irs form 2290 payment, irs form 2290 pdf, irs form 2290 questions, irs heavy highway vehicle use tax, irs heavy vehicle tax form, IRS watermark, is form 2290 filed annually, Late 2290, Late HVUT fees, Late HVUT payment, Owner Operators, pay heavy highway vehicle use tax online, pay heavy highway vehicle use tax return online, pay heavy vehicle tax online, semi truck tax deductions, semi truck tax depreciation, Truck Licensing, Truck Tags, truck tax online, Truck Tax Online 2290 e file, Truck Tax Online and tagged 2290 e file, Truckers, Vehicle Identification Number, VIN Correction, what is a form 2290, what is heavy highway vehicle use tax, what is the heavy highway vehicle use tax, when is a 2290 form due, when is heavy highway vehicle use tax due, where to pay heavy highway vehicle use tax on November 3, 2017 by Truck Dues. E-Renew your 2017-2018 Form 2290 as we merely got a week’s time until Deadline! This entry was posted in 2290 e-file, EIN, Form 2290, HVUT 2017 -2018, Truck Tax Online, VIN Correction and tagged 2290 e file, 2290 failure to file fees, 2290 penalties, 2290 Schedule 1, 2290 stamped Schedule 1, Agriculture Vehicle, Amendment, August 31, DMV, driver safety, driver tips, e-file 2290, E-file HVUT, ein, Filing 2290 late, Form 2290, Form 2290 actual deadline, Form 2290 Payment Due, Free E-File, Heavy Vehicles, HVUT, HVUT 2017 -2018, IRS, IRS watermark, Late 2290, Late HVUT fees, Late HVUT payment, Owner Operators, Truck Licensing, Truck Tags, Truck Tax Online and tagged 2290 e file, Truckers, Vehicle Identification Number on August 25, 2017 by Truck Dues. Less than a week left behind until your Form 2290 Renewal. E-File Now! This entry was posted in 2290 e-file, HVUT 2017 -2018, Truck Tax Online, VIN Correction and tagged 2290 e file, 2290 Schedule 1, Amendment, DMV, ein, Form 2290, Free EFile, Heavy Vehicles, HVUT, HVUT 2017 -2018, IRS, IRS watermark, Owner Operators, Renew Form 2290, Truck Licensing, Truck Tags, truck tax online, Truckers, Vehicle Identification Number, VIN Correction on July 25, 2017 by Truck Dues. Correcting VIN will never cost you anything here! 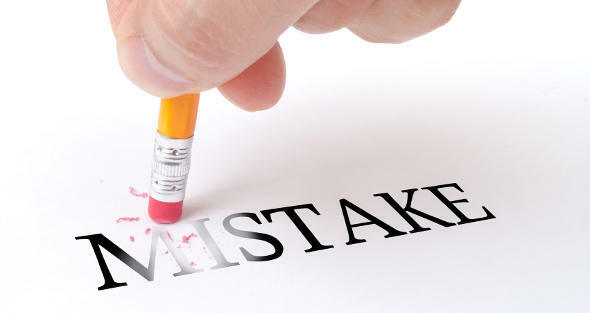 As per the great saying of Confucius, “If you make a mistake and do not correct it, this is called a mistake.” So there is no point in wasting time when you have an option to correct your mistake. This entry was posted in 2290 e-file, Form 2290, Form 2290 Amendment, Truck Tax Online, VIN Correction and tagged Amendment, DMV, Form 2290, Free EFile, IRS, Licenses, Registration, Tags, Vehicle Identification Number, VIN Correction on January 9, 2017 by Truck Dues. 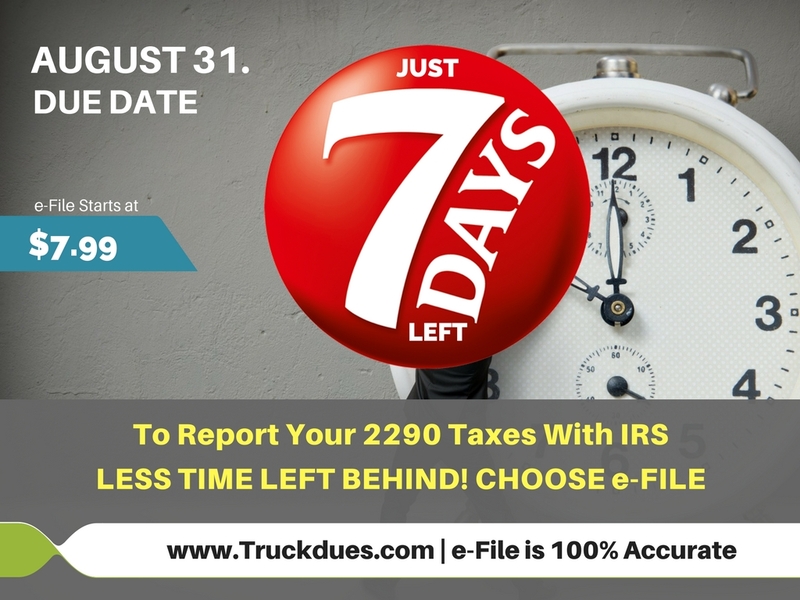 2 days to go for Truck Tax Form 2290 Due Date. It’s that time of the year again when you have to file your Federal Heavy Vehicle Use Tax returns on IRS Tax Form 2290. 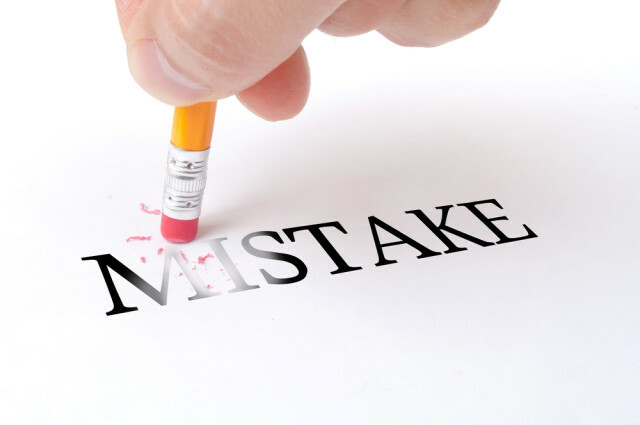 While the process may be tedious but that doesn’t mean it is not important, no worries as such http://TruckDues.com has simplified and made this Truck Tax Form 2290 reporting simple, quick and affordable. Taxes get a bad rep with truckers and truck owners for being difficult and time consuming. So much so that many of them fail to see the influence they actually have on their business and taxes if they just plan ahead. Form 2290 is a tax paid for highway vehicle use and which in return paid back for new highway laying, repair and maintenance works. Truckers are familiar with the federal highway use tax for heavy motor vehicles, also known as the HUT (Highway Use Tax) or HVUT (Heavy Vehicle Use Tax). 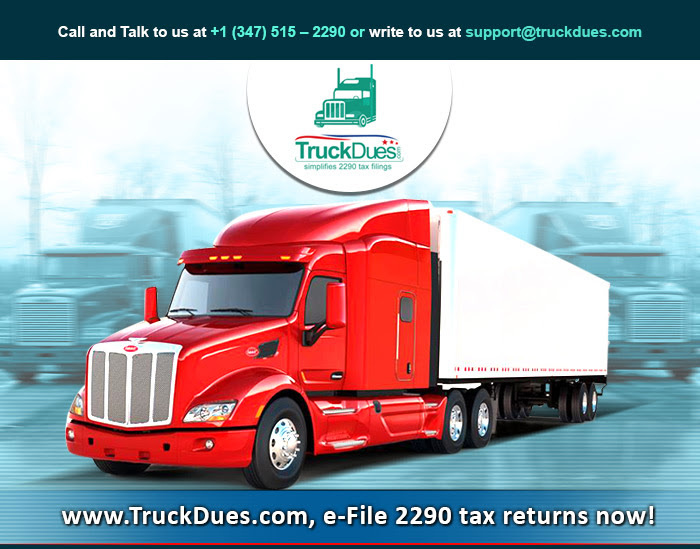 Generally this tax is reported on form 2290 for tax taxable vehicles and other trucks used since July, and its due on August 31 of each tax period. Anyone who registers a heavy highway motor vehicle in their name with a taxable gross weight of 55,000 pounds or more must file Form 2290, Heavy Highway Vehicle Use Tax Return. The filing season for Form 2290 filers is July 1 through June 30. You must file Form 2290 for the month you first use the taxable vehicle on public highways during the reporting period. For vehicles you first use on a public highway in July, file Form 2290 between July 1 and August 31. For vehicles you first use on a public highway after July, the tax for the current filing season will be prorated. File Form 2290 by the last day of the month following the month in which you first used on a public highway. Are you wondering why are we offering form 2290 efile for cheap and at a low cost? There is surely a purpose to be served. We know the hard work you do, we know the struggles you face on road and we are well aware how things are when the climate does not support you. Despite of the hardship, you file your tax 2290 return to the IRS as token of respect. It becomes tedious if paper filing was the method you choose to report and file form 2290. 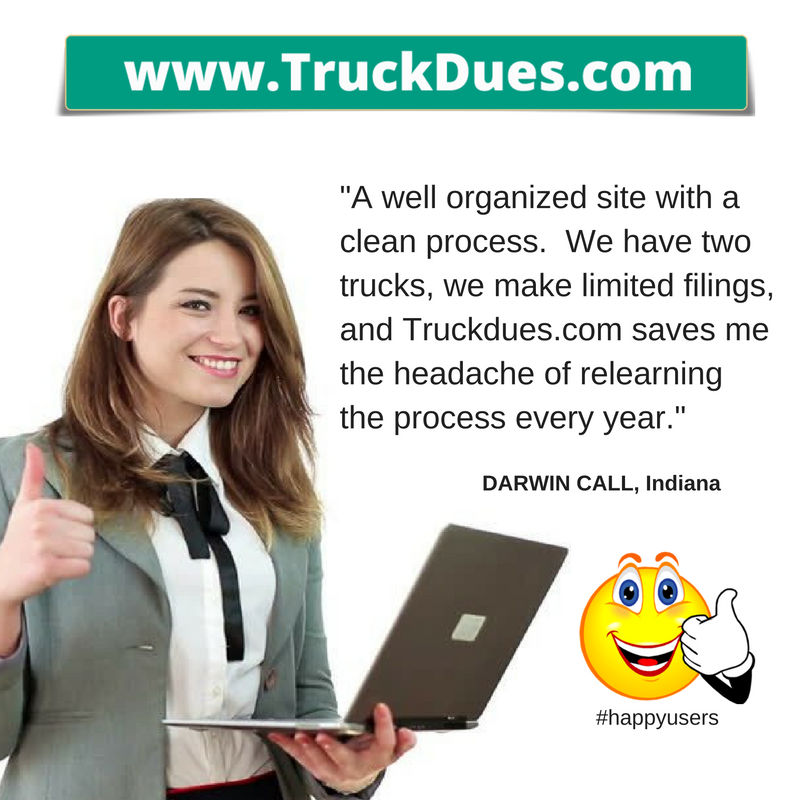 Instead, file your return online, pay a very low fee to TruckDues and receive your schedule 1 copy, right there in just minutes. Additionally, you are allowed to enjoy the features designed in the application, through your desktop and mobile with utmost ease. This entry was posted in 2290 e-file, 2290 for TY 2016 - 2017, 2290-for-20152016, American Trucking, Form 2290, Truck Tax Online, VIN Correction and tagged 2290 efile for $7.99, 2290 online, 2290 tax, 2290 TRUCK TAX RETURN, best price 2290 efile, form 2290 online, low price 2290 efile, rated no. 1 e-file website for 2290, top rated 2290 e-file, truck tax online on August 30, 2016 by Truck Dues. Electronic 2290 Tax Return – Fastest Schedule -1 Proof! The horrible road blocks, jams, rain, bad weather, potholes and more is already making trucking a gargantuan task. For you, filing this 2290 tax papers and Schedule 1’s seems to be more taxing. But it doesn’t have to be that way. 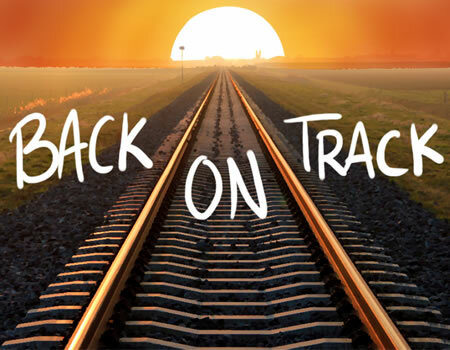 Electronic filing will get your tax filing more convenient and easy, a complete out and out comfortable filing experience like driving your truck on a flat narrow highway and on a peace full journey. How good it is to imagine right! This entry was posted in 2290 e-file, 2290 for TY 2016 - 2017, Form 2290, Truck Tax Online, VIN Correction and tagged 2290 tax filing, 2290 truck tax due, 2290 truck tax returns, due date for 2290 tax, efile 2290 truck tax, Heavy Vehicle Use Tax, IRS Form 2290 efile, truck tax dues, Truck tax filing on July 15, 2016 by Truck Dues. HVUT Truck Tax Form 2290 filing for 2016-17 is ON. E-file it Today! This entry was posted in 2290 e-file, 2290 for TY 2016 - 2017, Form 2290, Truck Tax Online, VIN Correction and tagged +2290, +2290tax, 2016 truck tax returns online, 2290 for 2016-17 tax year, 2290 for TY 2016 - 2017, 2290 online, 2290 truck tax efile, electronic filing for IRS Form 2290, Form 2290 efile, Form2290, truck tax form 2290 on July 1, 2016 by Truck Dues. This entry was posted in VIN Correction and tagged schedule 1 copy, Truck Dues Online, truck tax dues, TruckDues.com, Vehicle Use Tax, VIN Correction on February 11, 2016 by Truck Dues.